We are currently seeking a cast for our upcoming, 4th year final project, which is a pilot for a comedy TV series titled, "The wHole Story". "The wHole Story" follows the antics of a small independent Irish media company (who call themselves Home Truth Media) as they travel around Ireland reporting on the unseen side of Irish society. Home Truth Media pride themselves on being Ireland’s answer to Vice, with the intention of providing an unflinching insight into some of the more obscure aspects of Irish life. 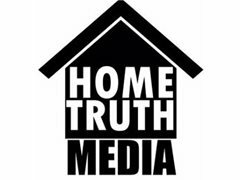 The crew members of Home Truth Media portray themselves as open minded and liberal freelance journalists who really care about the issues they discuss as well as the participants they interview. But in reality, they are opportunistic media vultures, exploiting these issues as a means of advancing their careers, so that they can make the leap into the realm of mainstream media. The key crew consists of The Presenter (Nathan), The Producer (Helen), The Cameraman (Conor), Sound Recordist (Katie), and The Editor (Simon). Home Truth Media is merely a stepping stone for each of them, thus the content they create will always be disingenuous and somewhat contrived. The result is a group of narcissistic pseudo-journalists who travel the country capitalizing on the misfortune of others in a hope to achieve fame & fortune, so as to give meaning to their otherwise vacuous and hollow existence. In the pilot episode of the series, the crew is doing a story on a man called "Francis", who is suffering from dissociate identity disorder (DID). Essentially the characters try to exploit Francis for their own benefit for the show, which leads to disastrous results. We are currently looking for a cast to play the following roles, The Presenter (Nathan), The Producer (Helen), Sound Recordist (Katie), The Rival (Jennifer), The Subject (Francis) and The Editor (Simon). The shooting dates of the project are; The 21st, 22nd and 23rd of March & 3rd, 4th and 5th of April. Nathan is 31 years old, tall & handsome, he has been involved in TV Presenting since he was 18, once the host of a popular Irish Children’s TV Show, he has moved into freelance journalism after being let go from his job as a kid’s TV Presenter for being too old. He is desperate to make the leap into mainstream television presenting and he knows that at the age of 31 the window of opportunity is growing smaller by the day. Katie is young, attractive, politically minded and an avid musician. She is a little kinder natured than the rest of the team, however she is also quite self-involved, and her music career is the most important thing to her. Simon rarely goes out on location with the rest of the team, he is a bit of hermit who is most at home in an edit suite, swearing at a computer screen. Much like Conor, he too has a proclivity for substance abuse and acts as a sort of a pharmaceutical guru to Conor, advising him on the best concoction of chemicals to ingest in order to achieve the desired effect. Jennifer is a former co-worker of Helen. They are quite competitive with one another and although they describe themselves as acquaintances. Jennifer is smart, ambitious, power driven and calculating. She will stop at nothing to succeed.